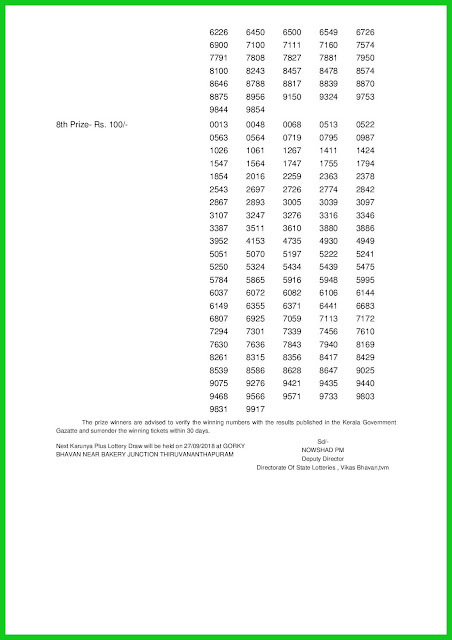 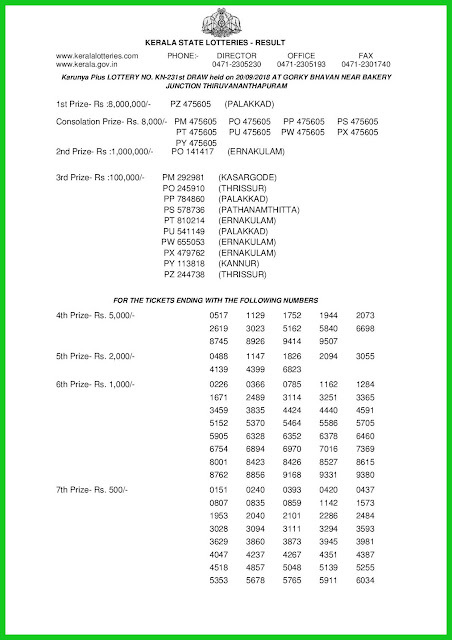 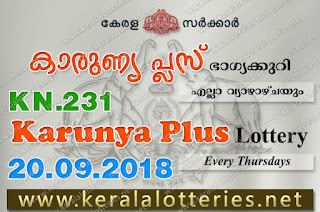 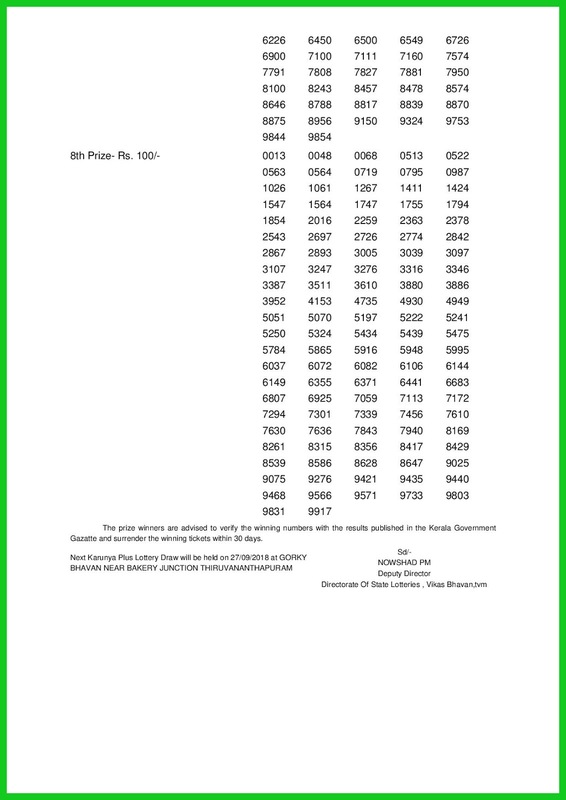 Kerala Lottery Result Today 20-09-2018 is Karunya Plus lottery KN 231. 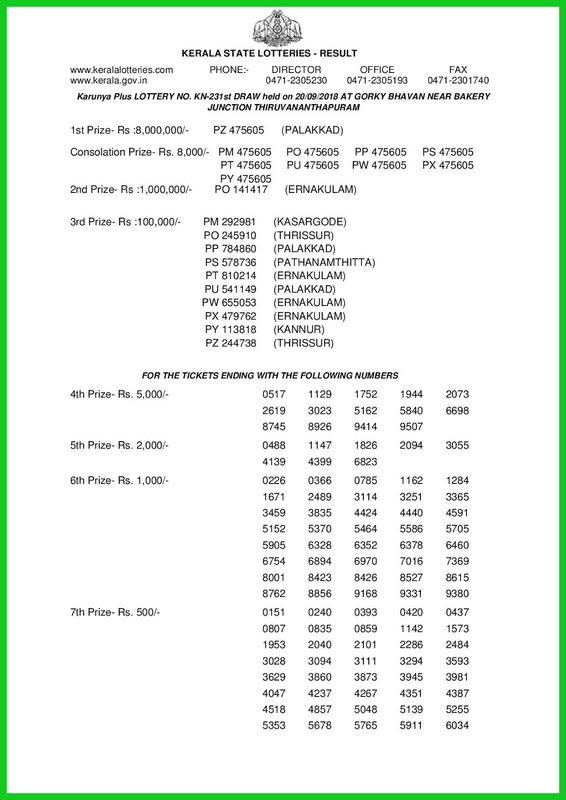 Today kerala lottery result will be announced on 20/09/2018 at 03:00pm. 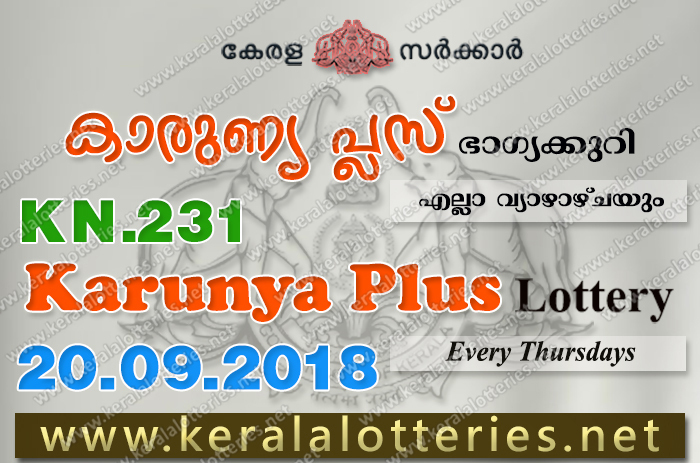 The kerala lottery department held the draw of KN 231 Karunya Plus lottery today 20.09.2018 at sharp 3pm with the presence of officials at Gorky Bhavan, Near Bakery Junction Thiruvananthapuram.